Verrrrry cool!! If i tried this there would be dye all over everything, including Ryan who would be insisting on “helping” and therefore sporting the colors himself. They did help. I just got everything set up to try to keep them clean, put them in old clothes, and showed them what to do. Lucas did his tshirt pretty much by himself. 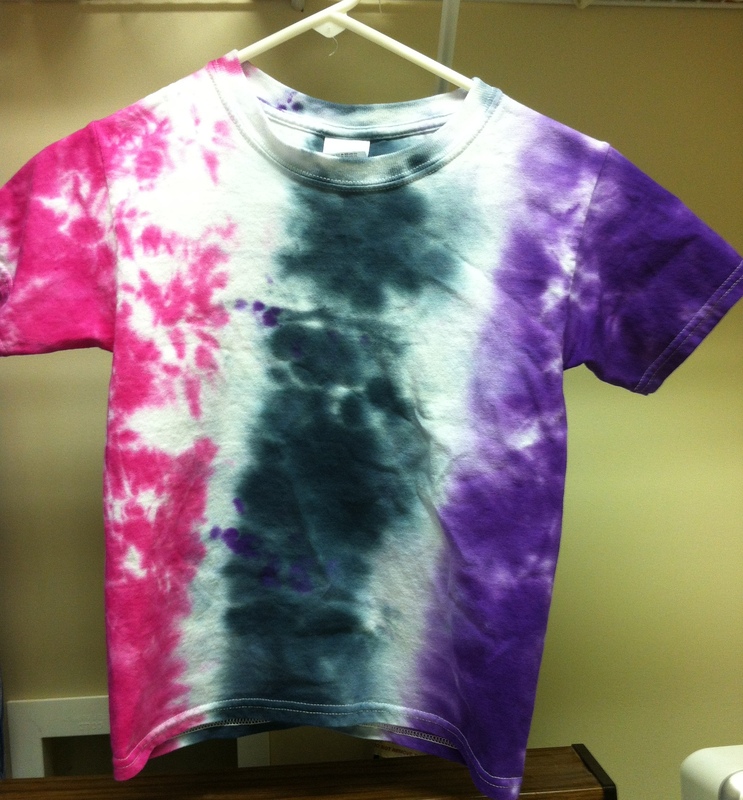 I squirted on the dye and then he brushed it to blend. Arianna helped with some of the brushing and sponge blending as well.